Wide range of in-house options and fast turnaround. 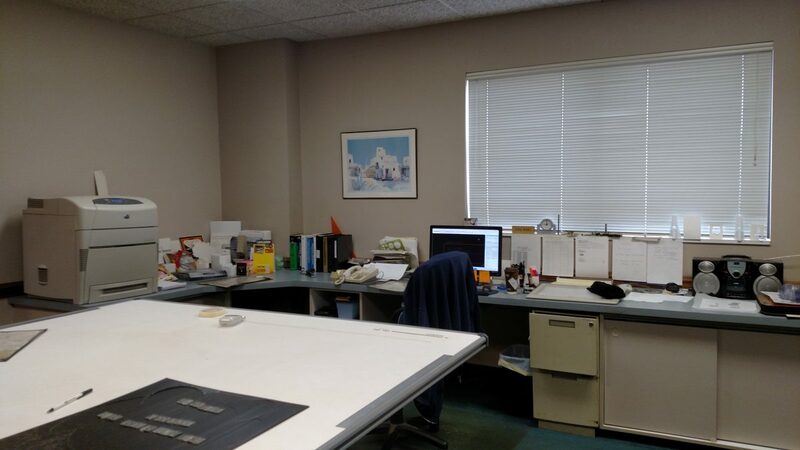 We have the ability to read several types of files, and produce templates, and prototype samples for customer approval and small to medium production runs. 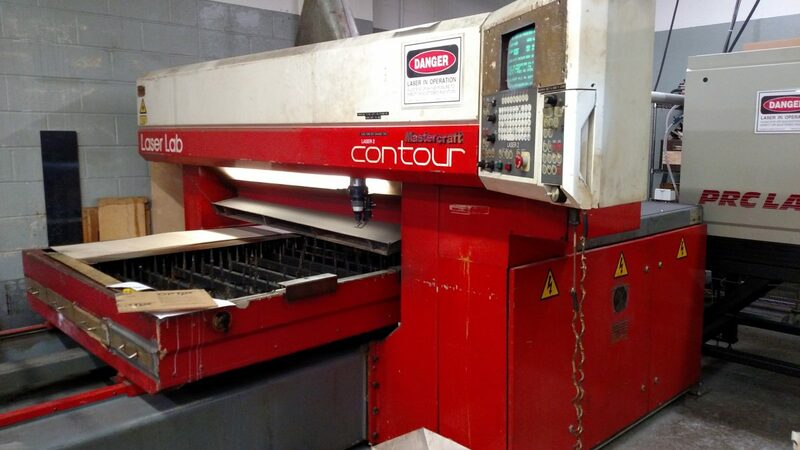 This enables us to provide concept to cut quickly and accurately. Our programmers have a diverse background with years of experience in many different areas of industry which allows us to understand our customer’s needs while providing valuable feedback. Our flat programming software is specially designed for the die making industry and is constantly upgraded to stay on top of technology. This software gives us the ability to read several types of files and nest parts into any size sheet. Customer provided prints can also be drawn. Programs can be generated using CAD created from print or a customer provided CAD file. Mylars can also be provided. 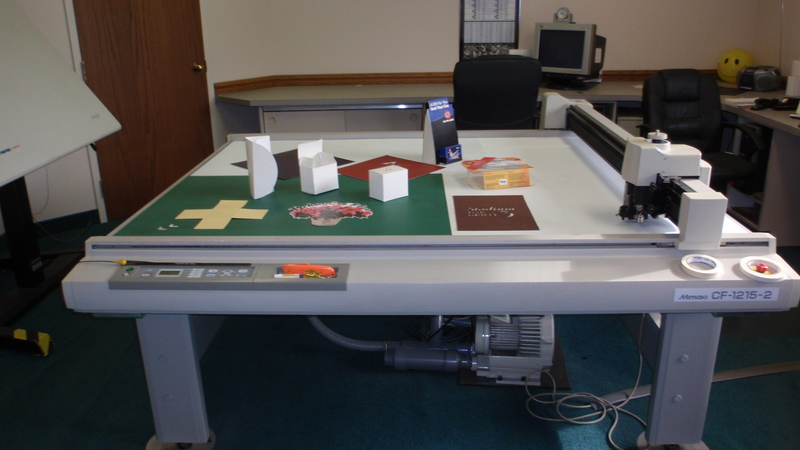 The CF2 Series flat bed cutting plotter capable of cutting and ceasing various kinds of media with high accuracy. By cutting the printed media, you may high value-added products on demand required. This machine’s capabilities include digital die cutting for a wide range of requirements which is ideal for prototype samples for customer approval and small to medium production runs. 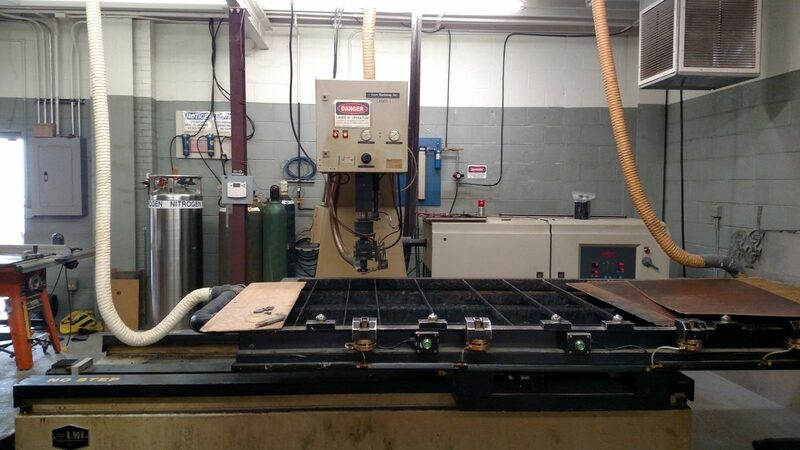 The cutting area is 47″ x 59″. The next step in the evolution of cutting plotters: The Mimaki CG-FX Series is capable of hitting even the most complicated contour cuts with the kind of speed and precision you need. Older cutters simply can’t compare. Best of all – it’s automatic. The break through technology of Mimaki’s photo-electric eye sensor allows for precise continuous cutting of your entire roll of media, giving you the greatest gift of all: freedom. CNC control, this is an excellent style of machine for the signage or dieboard industries, with a short beam path that produces consistent kerf width over the cutting area. For dieboard applications the individual controls for 2, 3, & 4-point kerf widths produces accurate and repeatable slots. EasyBender S1 offers the best value for diemakers. 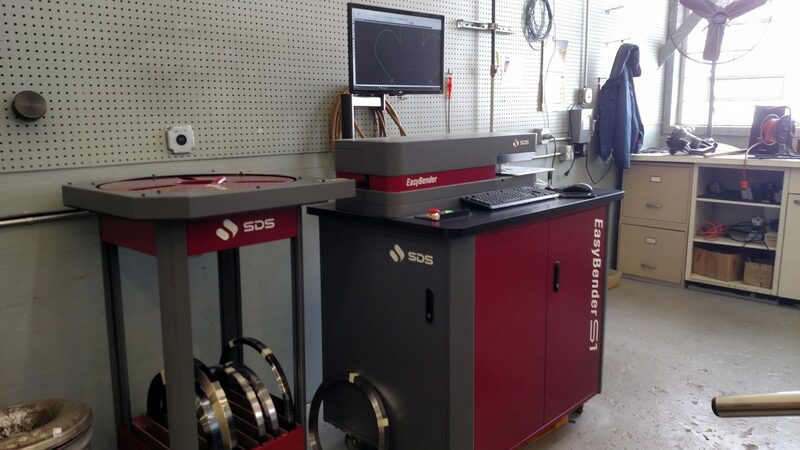 EasyBender S1 processes and bends steel rule. The S1 offers extraordinary value to customers who need to run multiple rule process on a single machine. This is a fully automatic system that notches, cuts to precise length, and bends the rule in a sequential process accurately and efficiently. Our PRC 2200 Laser is ideal for precision parts with a significantly smaller heat affected zone as compared to plasma cutting. 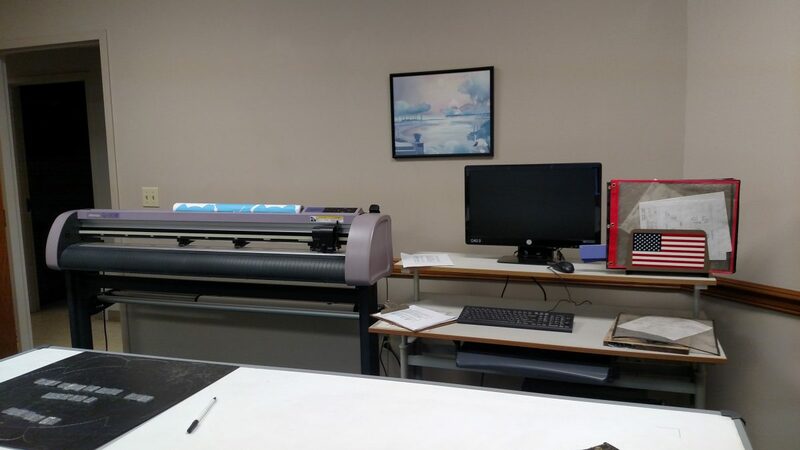 The custom design slats in our cutting bed allows for cleaner cuts with minimal back splash, and our PRC 2200 Laser Cutter has the capability to accommodate sheets up to 4′ x 8′ giving us the edge when it comes to large scale productions. Monday - Thursday: 8:00a.m. - 4:30p.m. Friday: 7:00a.m. - 3:30p.m. We welcome any questions or comments that you may have. Please feel free to send your CAD drawings in IBM compatible .DXF, .PDF, .EPS, or .AI (Adobe Illustrator) formats.